Here's how to take advantage of Italy's remarkably efficient and comfortable rail system. Tickets are now on sale for the new Netherlands service, with prices from £35 ($62) one-way. It's a scenario we're often asked about: travellers want to to visit India but don't know where to start. 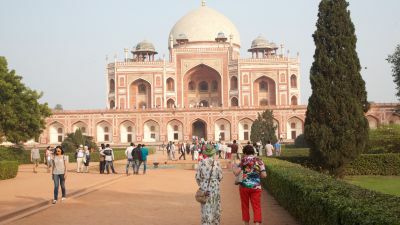 Travel Editor Stephen Scourfield has explored India for decades and has come up with easy and comfortable ways to experience this remarkable country. The new Grand Suites will be the first aboard the historic train to offer private bathrooms and showers. Mt Takao offers an interesting daytrip — and it's less than an hour from Japan’s capital. With the prospect of direct flights between Perth and Tokyo, our Travel Editor walks the Japanese capital with an open notebook (and an open mind). Dalston, in north-east London, once rarely captured the attentions of travellers. These day's it's one of the city's trendiest areas. A greedy taxi driver and drab city views give way to a better vibe and far prettier scenes on a train ride into the Bulgarian countryside.